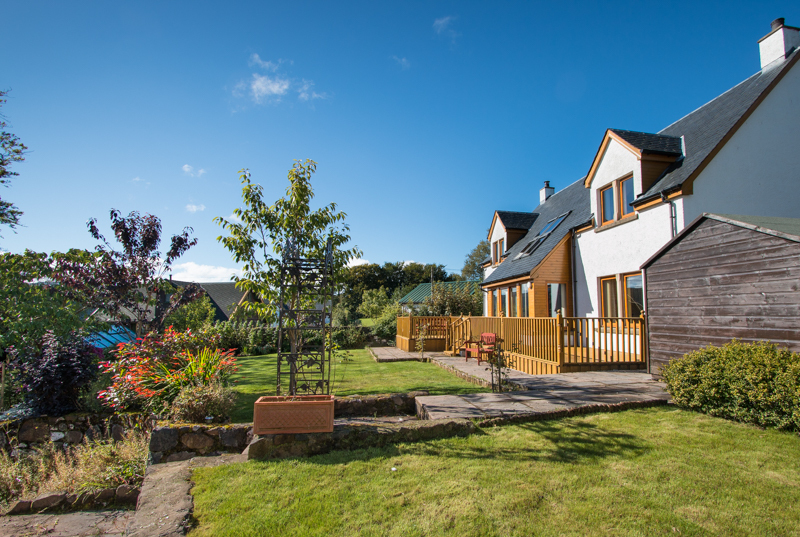 Dhachaidh Mo Cridh is situated in upper Tobermory and offers the highest standard of accommodation. A modern and well equipped house there are three bedrooms upstairs, including the double ensuite. The large open plan kitchen dining area is a fantastic space to work in and there is also a formal dining table in the double height hall space, which has doors opening direct to the front decking. 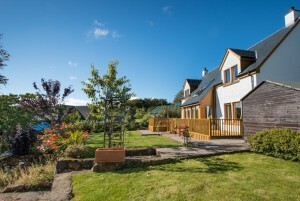 The garden is a mature and well tended lawned area with a large decking from which there are glimpses of the harbour.